The Office of Financial Aid is required by state and federal regulations to monitor the academic progress of every student receiving financial aid to ensure that the students are making satisfactory academic progress (SAP) toward a baccalaureate degree. A student who is not achieving this goal (according to the student’s entire academic history at Evergreen) is not eligible to receive financial aid. A. Students who have never attended Evergreen are considered to be in good standing. B. Students who have attended Evergreen but who have not received financial aid will have their past academic records at Evergreen reviewed. These students must meet the same criteria as defined in Part III for maintaining eligibility as those who have been on financial aid. C. Students who transfer credits to Evergreen will have those credits count toward the 225 maximum credits attempted. 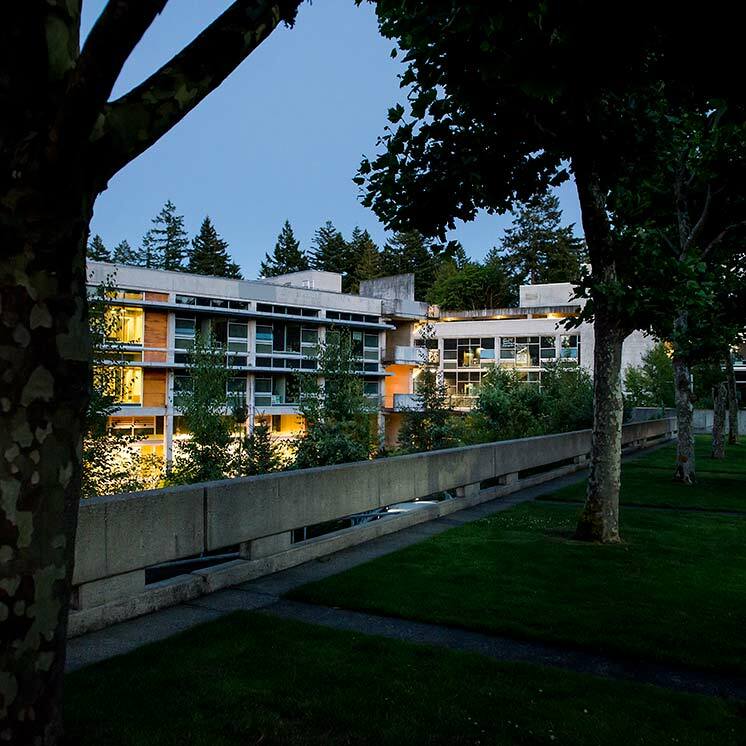 Students who have attempted 45 credits or more (including transfer credits) must, for federal, state and institutional financial aid eligibility, have completed a minimum of 75% of the total attempted credits in an academic year, defined as the Fall, Winter, Spring, and Summer quarters in each year, as well as 75% for all work attempted while a student at Evergreen. Attempted credits are those credits for which a student is enrolled after the tenth day of each quarter. Freshman students who begin the academic year with 44 cumulative credits or less, must, for federal, state, and institutional financial aid eligibility, have completed a minimum of 65% of the total attempted credits in their first academic year, defined as Fall, Winter, Spring, and Summer quarters. Once a student has attempted 45 credits, they must meet the 75% cumulative percentage as defined in the paragraph above. Full-time students are expected to graduate within five years (a maximum of 15 quarters). To accomplish this, a full-time student needs to complete a minimum of 36 credits for each academic year. STATE FINANCIAL AID recipients must complete a minimum of 36 credits each academic year in order to be considered making SAP for those programs. Part-time students are still required to complete a minimum of 75% of total attempted credits or a minimum of 18 credits whichever is more. For three-quarter time attendance, STATE FINANCIAL AID RECIPIENTS must complete a minimum of 27 credits to be considered making SAP for those programs each academic year. For half-time attendance, STATE FINANCIAL AID RECIPIENTS must complete a minimum of 18 credits to be considered making SAP for those programs each academic year. Partial year students will have the required minimum credits completed toward their degree adjusted according to the number of quarters they attend. They are still required to complete a minimum of 75% of total attempted credits for the quarters they attend or the appropriate minimum based on the length of their attendance whichever is more. The minimum requirements for their period of attendance is based on the number of quarters they attend (i.e. one quarter students must complete six credits; two quarter students must complete 12 credits to be making SAP). PLEASE NOTE: Students who complete less than 18 credits in an academic year will be considered not making SAP and will be put on Financial Aid Suspension (see Part V below). Students may not exceed 225 credits attempted toward the baccalaureate degree. Students pursuing a dual degree (BA/BS) may not exceed 270 credits attempted. In order to be considered a dual degree student, the student must have applied to graduate through Registration and Records for a dual degree one year prior to the final academic year. Students applying for a dual degree will be reviewed by Registration and Records and/or Academic Advising, and their financial aid will be put on hold until it can be determined that the student can realistically earn a dual degree in their maximum time frame remaining. Since satisfactory progress is monitored once a year at the conclusion of the Summer quarter, future financial aid eligibility for federal and institutional financial aid will be suspended for students who do not maintain progress. Credits from the previous summer will be included in the determination of a student’s SAP. Summer quarter credits attempted require credit verification before the following Fall quarter’s financial aid eligibility can be finalized and disbursed to the student’s account. For STATE FINANCIAL AID programs, students who complete more than 18 credits but less than 36 credits in the academic year will be considered on financial aid probation and must petition the Financial Aid Appeal Committee for reinstatement. STATE FINANCIAL AID recipients who complete less than 18 credits in an academic year will be ineligible for further consideration of STATE FINANCIAL AID. A. Students, who have had their financial aid eligibility suspended, may appeal their case, in writing, to the Financial Aid Appeal Committee. The appeal must include a written statement from the student based on the unusual circumstances that caused the student to fail SAP. The statement must also include a resolution to that circumstance or what has changed that will allow the student to now make progress. In most cases, supporting documentation (doctor’s statements or statements from official organizations) would be helpful to the committee in determining the outcome of the appeal. Upon review of the appeal, the committee can request additional information or documents before making a determination. B. If a petition of reinstatement is not granted, the student may repetition for aid reinstatement upon successful completion of at least one quarter. The successful quarter completed must be paid for from means other than financial aid. C. If financial aid eligibility is reinstated, the student will be put on probationary status for a period of time as determined by the committee and credit completion will be monitored each quarter. The amount of financial aid awarded will be contingent on the availability of funds. Probationary students who, at the end of each probationary quarter, do not complete the required number of credits OR do not meet the stipulations put forth by the committee, will be put on financial aid suspension and will be ineligible for further financial aid. A. Incomplete or Outstanding credit is considered NO CREDIT earned. Students with either of these designations at the time SAP is determined will be ineligible to receive financial aid until such time as the incomplete or outstanding credits are completed. B. Withdrawals or Leaves of Absence begun prior to or during the first week of the quarter are not counted when determining a student’s SAP. Withdrawals or Leaves of Absence begun after the tenth day of the quarter will be counted as attempted credits when determining a student’s SAP.